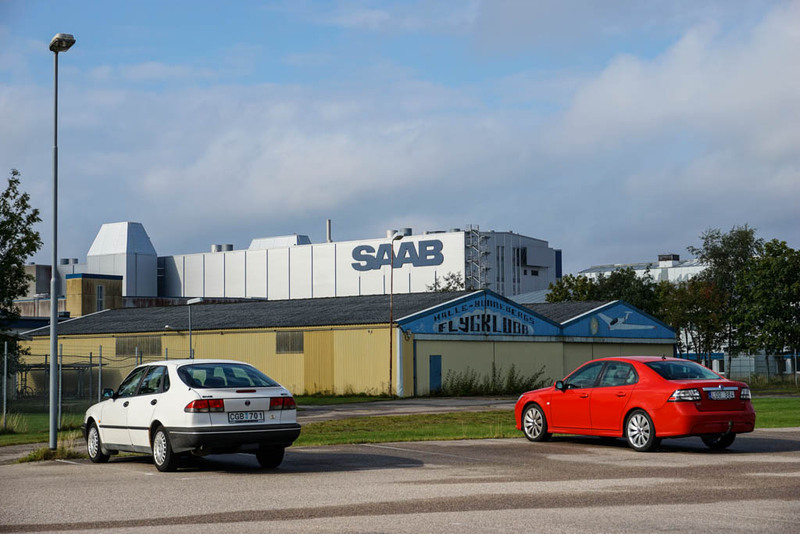 The factory was full of life when I visited in 2006 and took delivery of my new Saab 9-3 at the nearby ANA dealership. 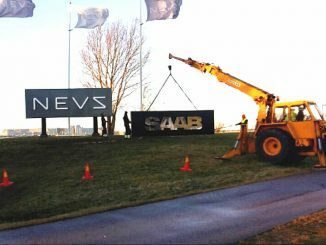 New Saabs were waiting in huge parking lots at the factory and car transporters were loading these brand new Saabs for worldwide delivery. 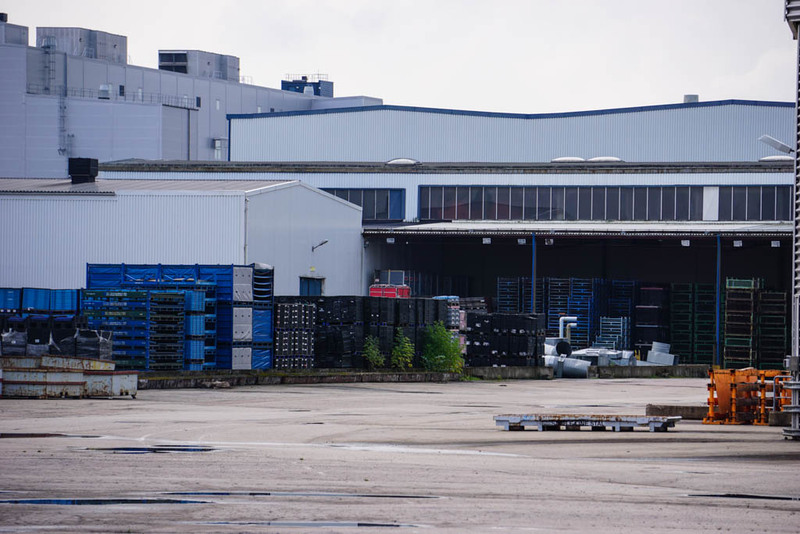 Supplier trucks were arriving and leaving and there was just the general feel of a busy factory. 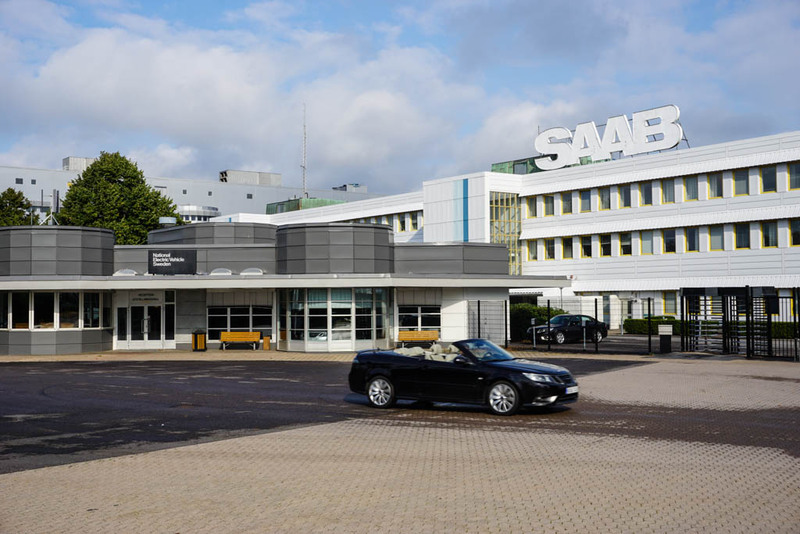 Driving past the Saab factory in September of last year was a bit of a sad experience. 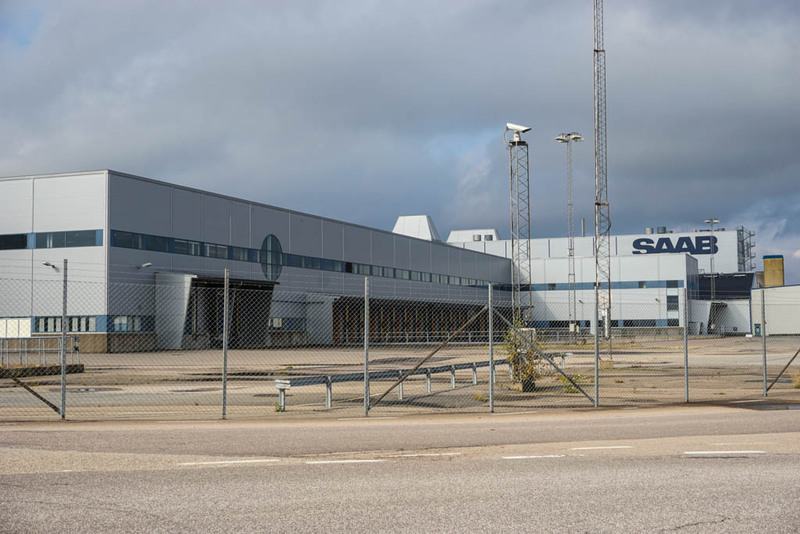 Most areas around the buildings were completely empty and there weren’t many people around There was a Saab security vehicle checking me out and probably wondering why I was taking pictures of these buildings. 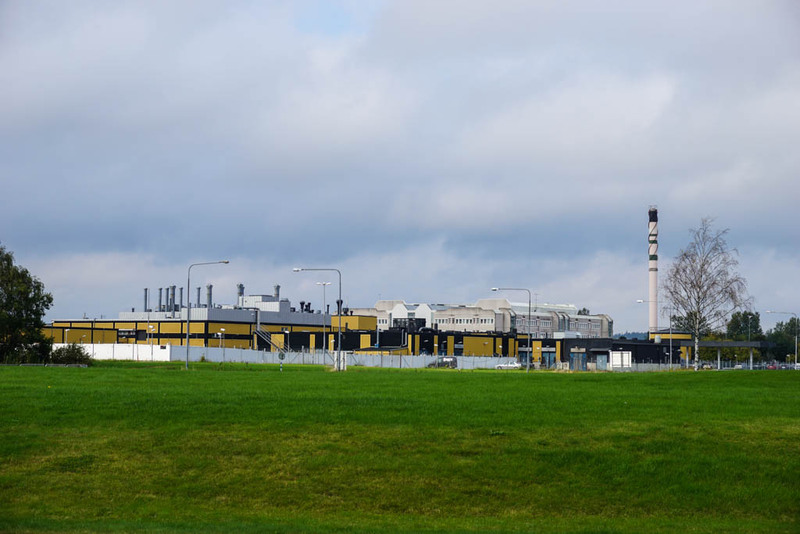 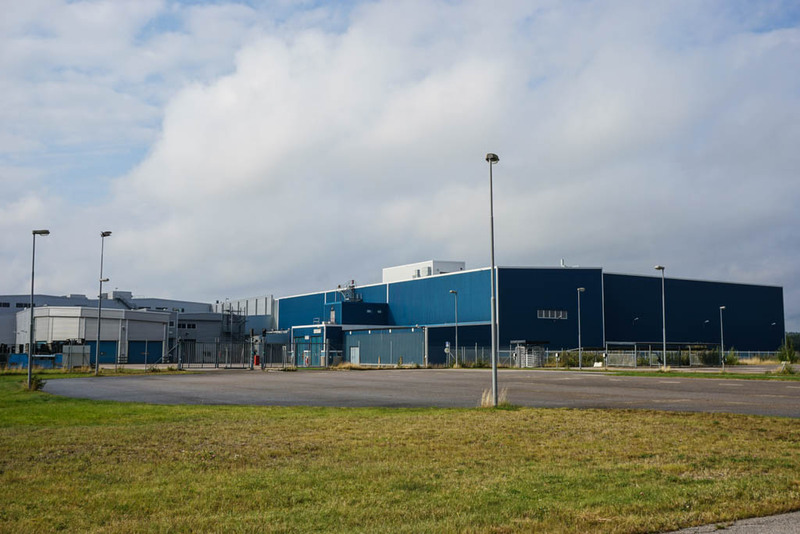 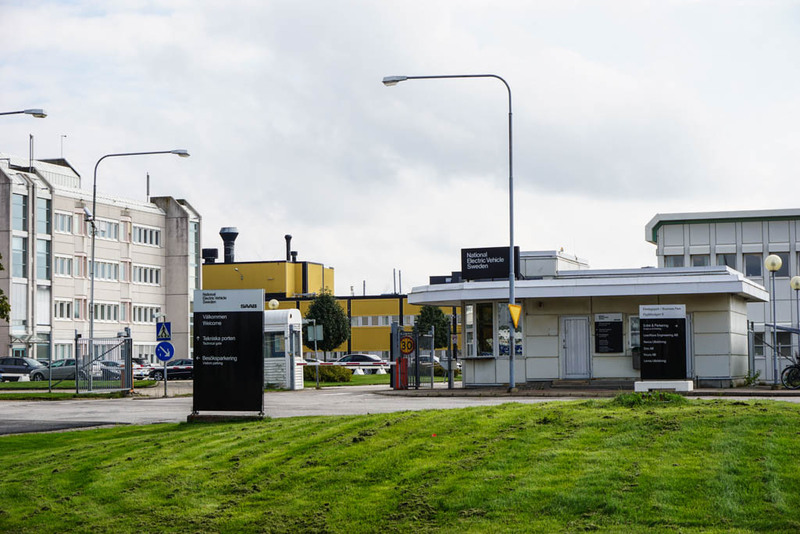 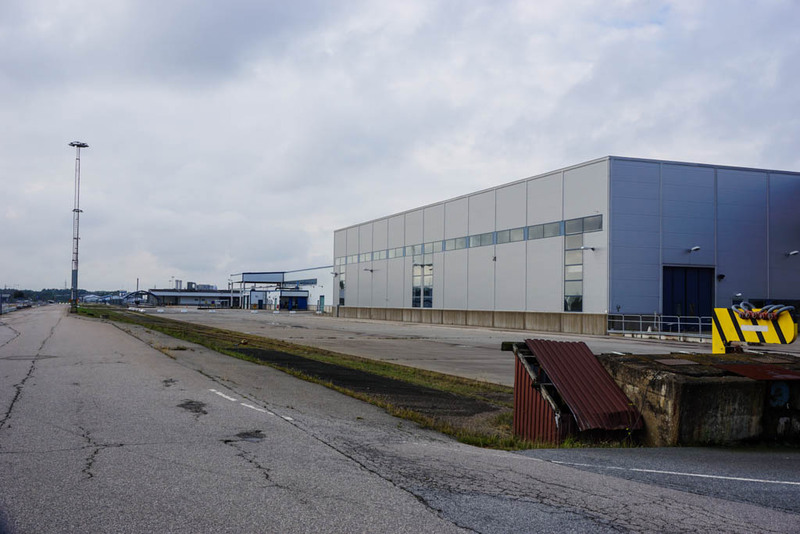 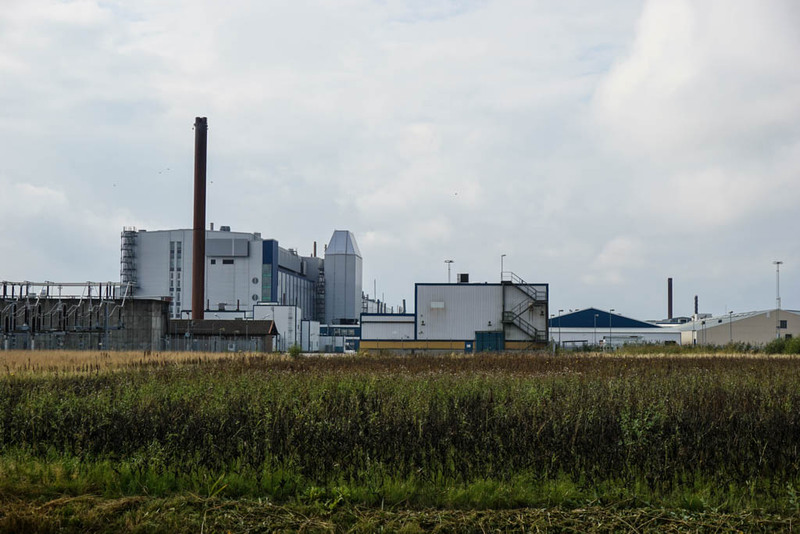 There was still some activity at the main entrance and engineering buildings, as well as other business located at the same Stallbacka industrial park. 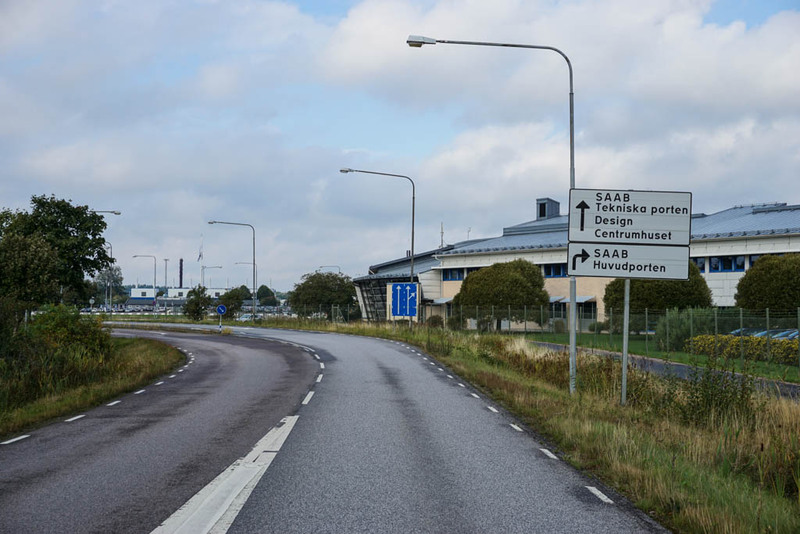 But it just didn’t feel the same as before. 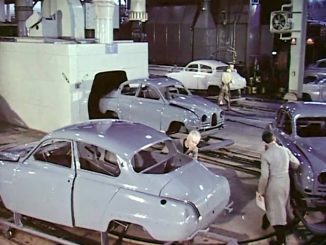 The peak of production was 133,000 cars in 2006 which is an average of 365 cars per day. 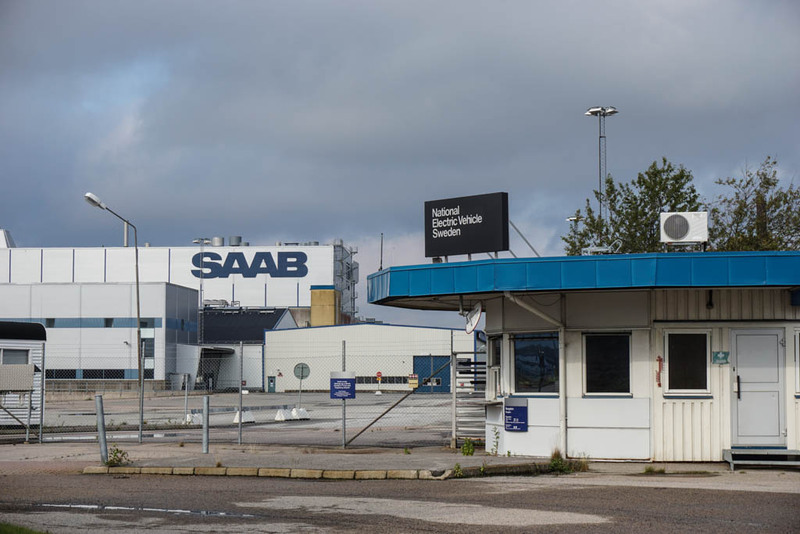 When you drive around the factory near the small airport these days, the silence and emptiness around these huge buildings is remarkable. 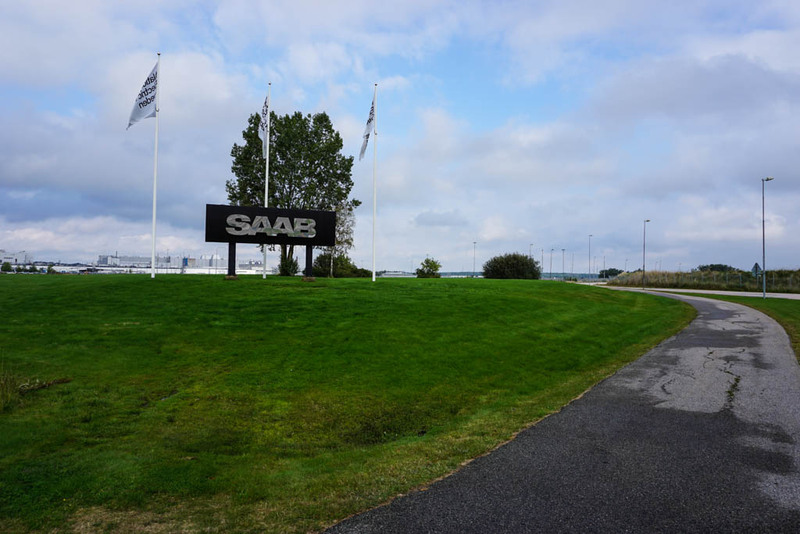 Weeds are taking over the parking areas that used to store so many Saabs. 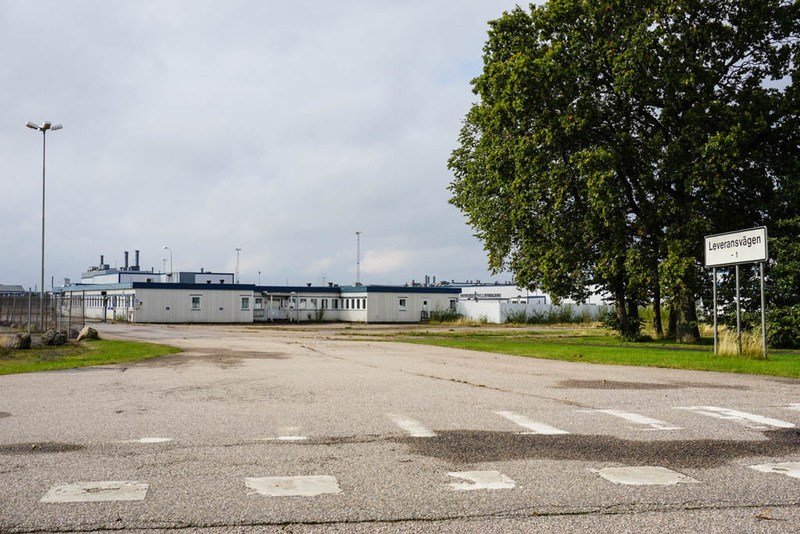 It was similar to a ghost town where everybody just packed up and suddenly left. 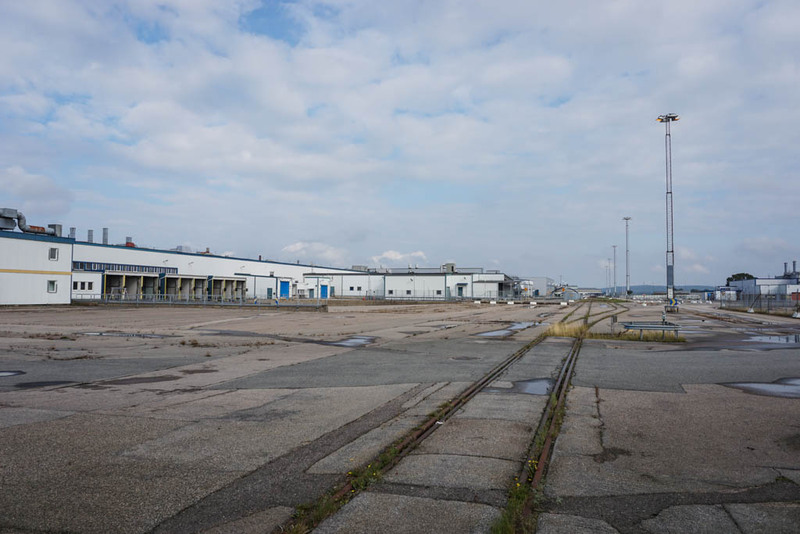 Hopefully this factory will produce cars in the future again but it was a bit of a depressing sight to see. 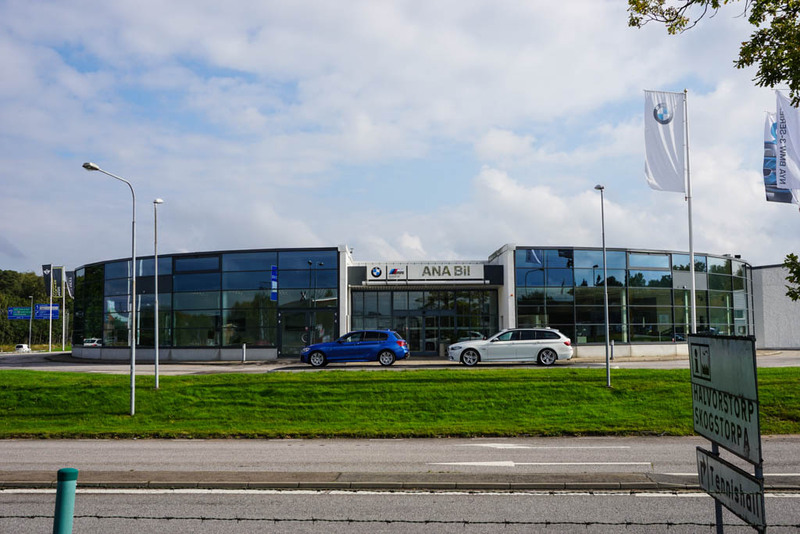 The ANA dealership where I picked up my Saab 10 years ago is now selling BMW. 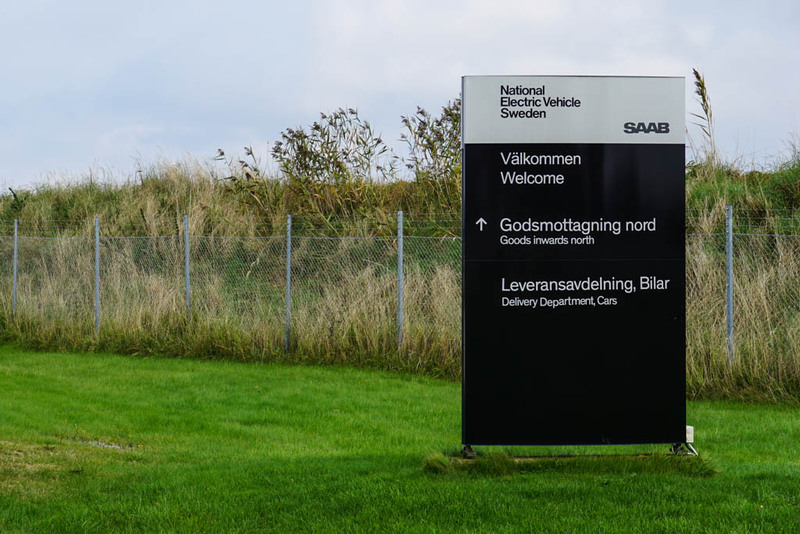 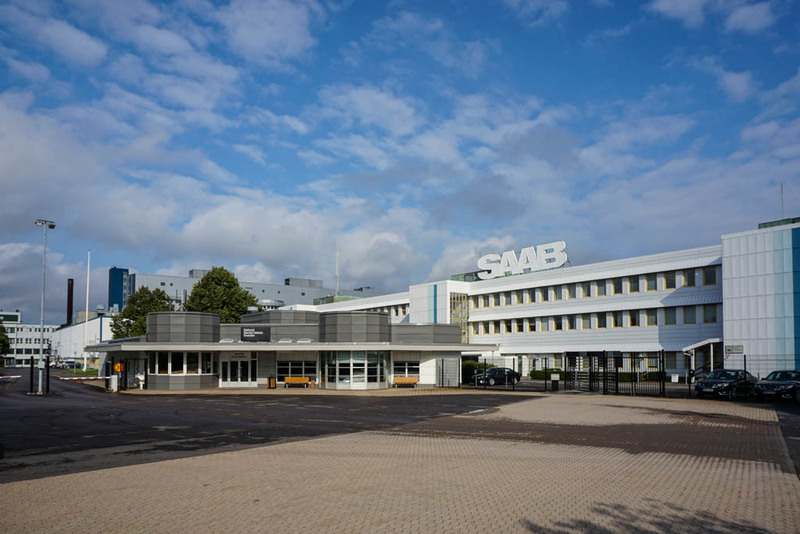 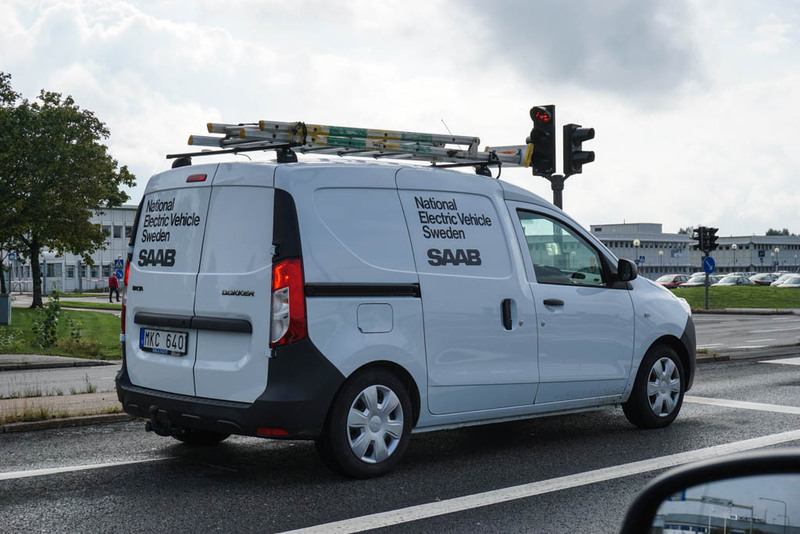 They started selling Saabs in 1960 and sold 10,000 cars annually, making it one of the largest Saab dealerships in the world. 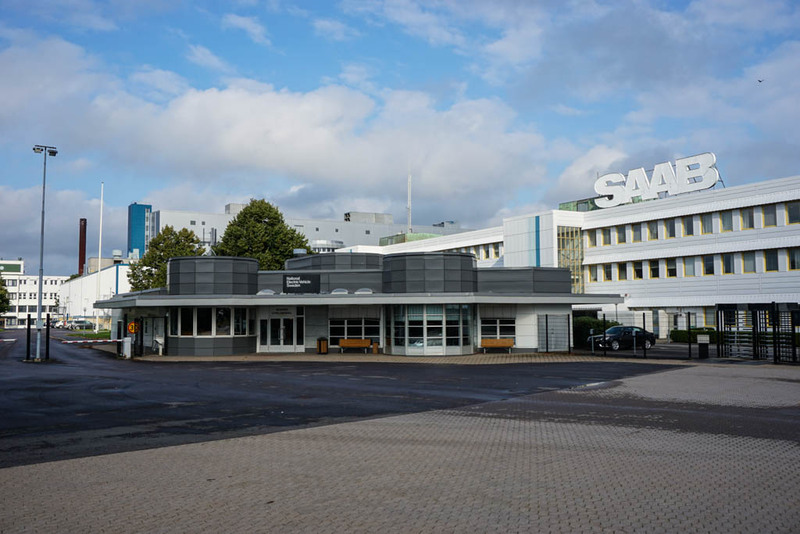 They still service Saab cars in the Trollhattan area but the wonderful Saab showroom is gone. 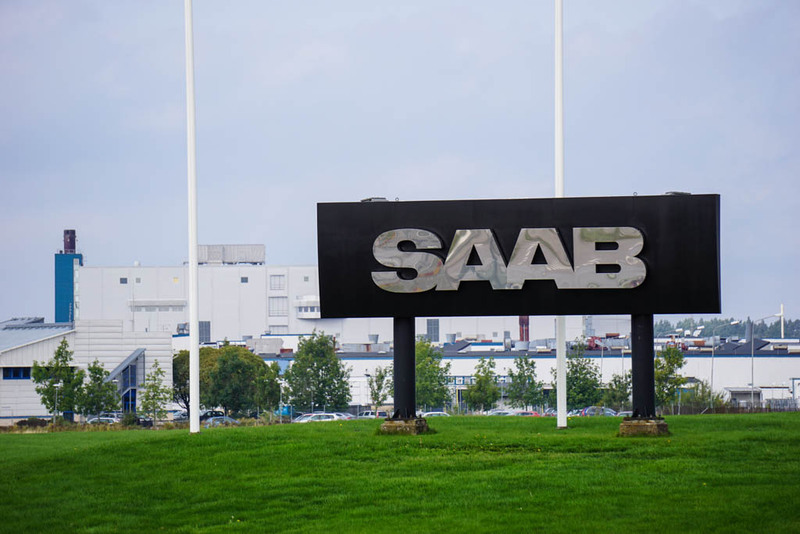 The Swedish soul of Saab Automobile has been replaced by an Asian spirit. 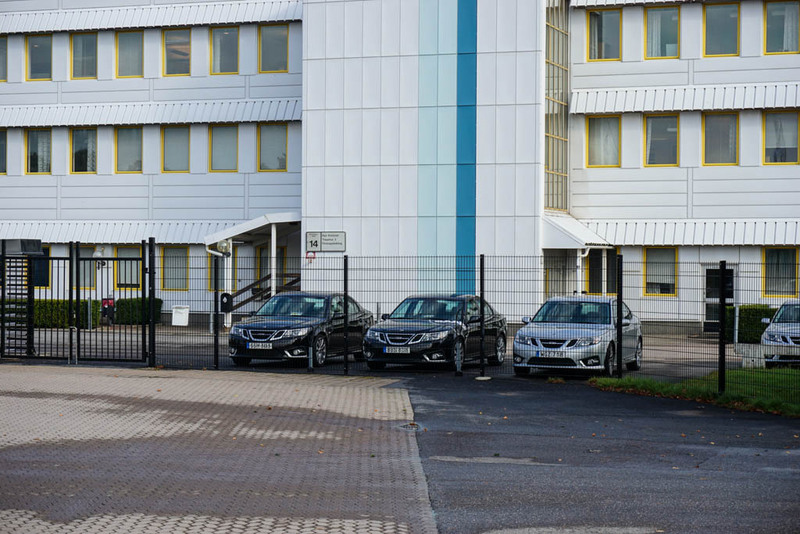 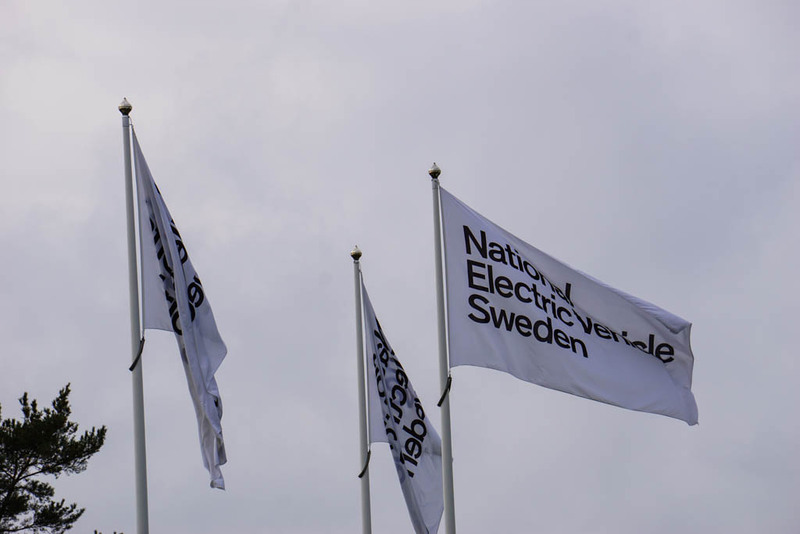 The factory will produce the bodies for electric vehicles that are going to be assembled in China, according to recent news reports. 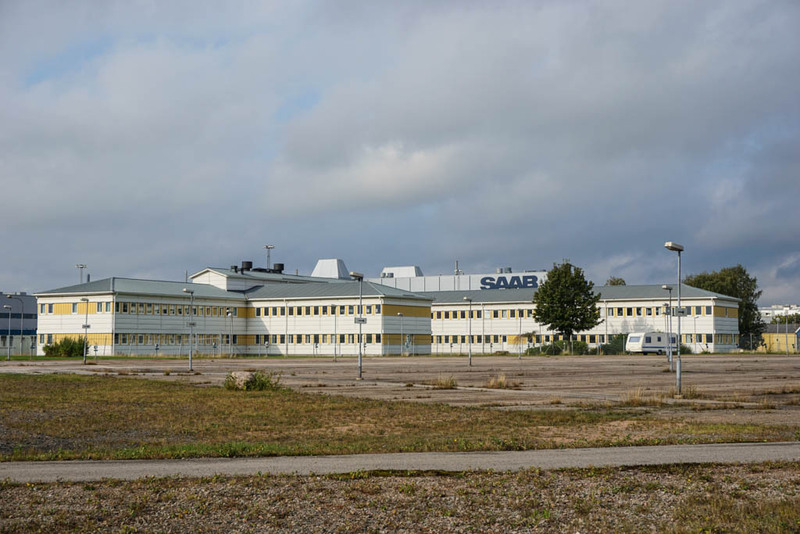 Some have still hope this factory will manufacture complete cars again and the Saab name is going to be revived. 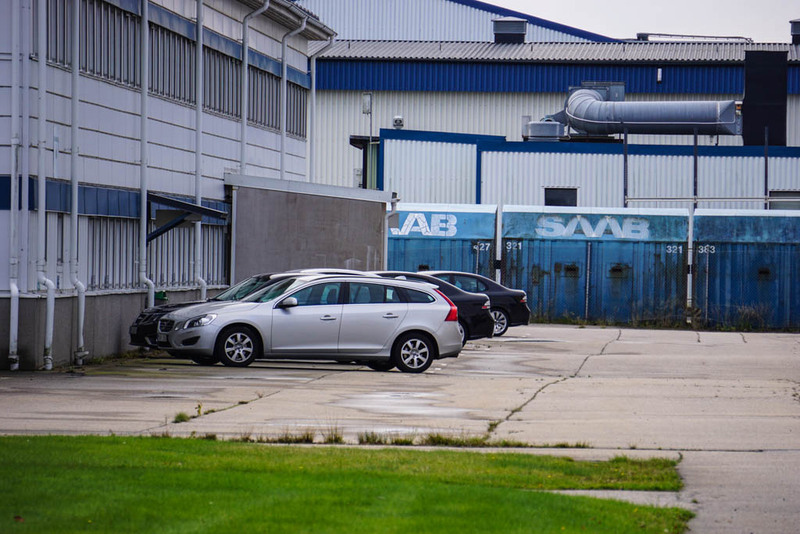 But for many, Saab has been gone for a long time now and will never be the same again if it comes back at all. 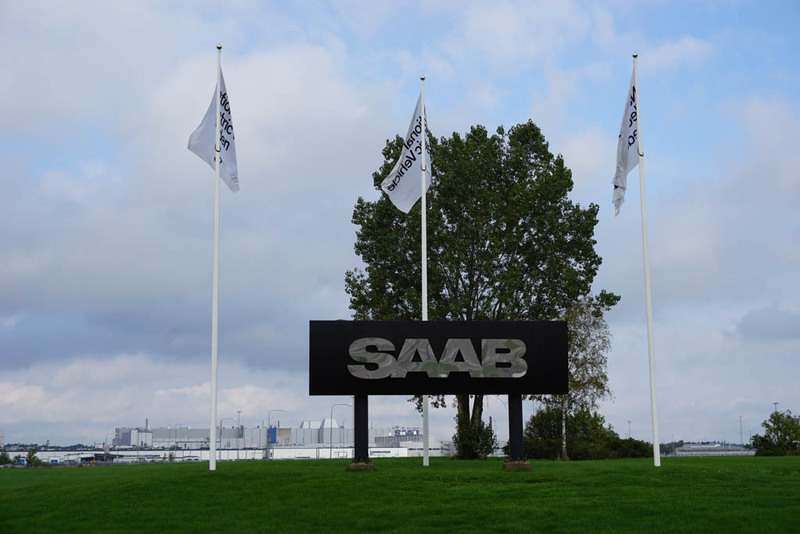 © SaabWorld – please share but do not copy or reproduce without permission. 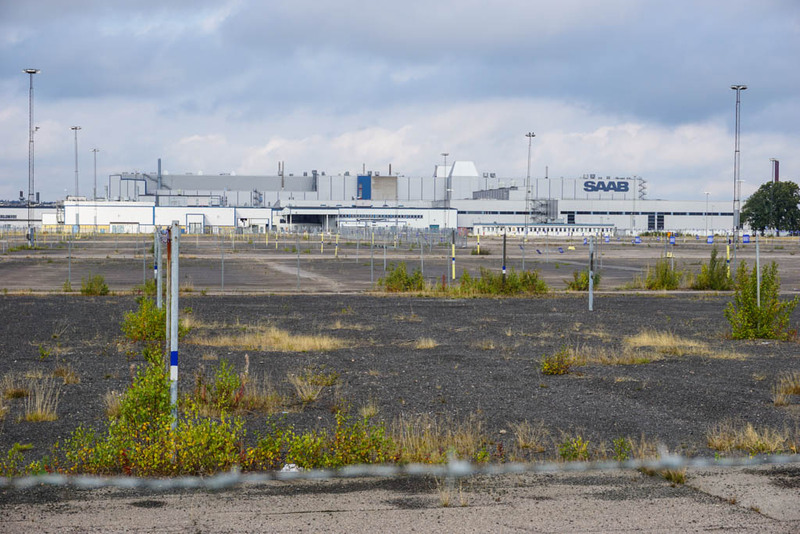 Very sad but very interesting nonetheless. 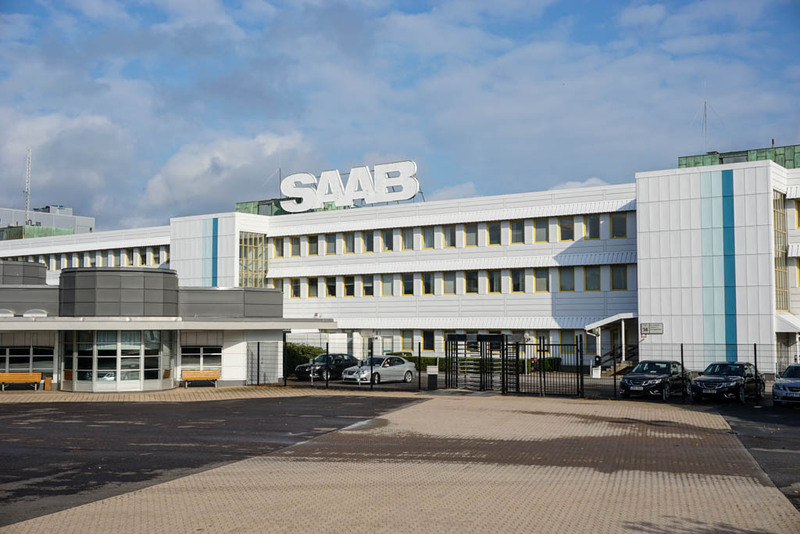 I am a SAAB owner. 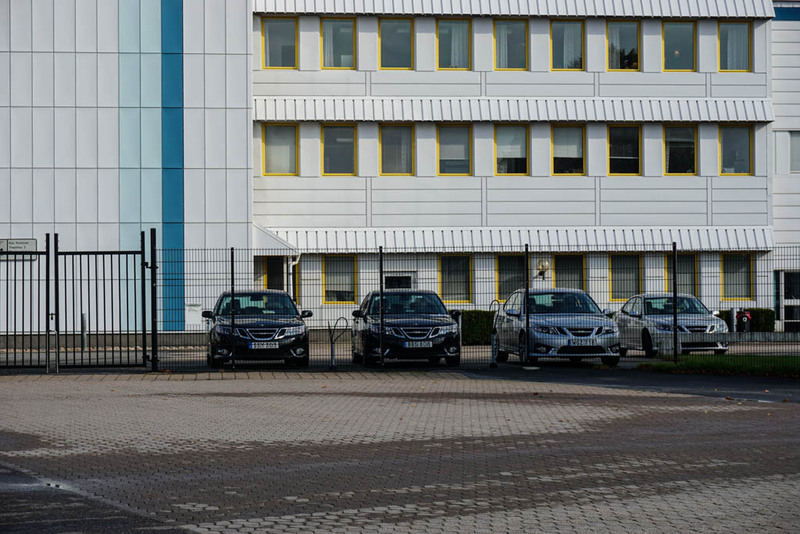 Sadly, I need a newer car. 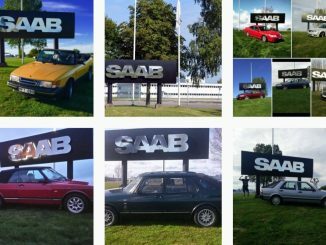 Please tell me a car you recommend that reminds you of a SAAB.